Get embed code for this episode. | For other embed code options click here. | audio Download the MP3 File (31.67 MB) . 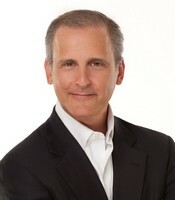 Paul Brodsky founded Macro Allocation Inc (MAI), an independent macroeconomic research and allocation consultant, after having been a professional investor since 1982, first as a trader on Wall Street, and, beginning in 1996, as a fund manager responsible for overseeing investing and risk management. His experience runs the gamut across asset classes, strategies and geographies, and his skilled experience drives MAI analysis, strategy, and asset allocation. After graduating from the University of Pennsylvania in 1982, Mr. Brodsky began his Wall Street career as an investment advisor for Kidder Peabody & Company. In 1984 he took a seat at the American Stock Exchange to trade proprietary option strategies, and in 1986 he joined Drexel, Burnham Lambert to trade mortgage-backed securities – assets valued based on option-adjusted spread modeling. In 1991, Brodsky helped establish a broker/dealer that generated over ninety percent of revenues through mortgage trading, which he oversaw. The Firm was sold to Piper Jaffray & Company in 1994, where he was a Managing Director. In 1996, Brodsky transitioned to the buy side. He founded and was the CIO of Spyglass Capital, a fixed-income arbitrage hedge fund that ranked top among all fixed-income funds according to Nelson rankings over various long-term periods throughout its tenure. In 2006, Brodsky returned the majority of the Fund’s capital to investors in advance of the financial crisis, and co-founded QB Partners, a macro fund that allocated capital based on the flow of global money and credit. QB investor letters became must-reads in the post Global Financial Crisis environment among many professional investors, advisors, consultants and other fiduciaries. QB’s assets were acquired in 2013, and in 2015 Brodsky launched MAI.